John Wood the Elder ensured that those who moved into his rather exclusive grand enclosure at Queen Square did not have far to go when it came to giving thanks for their own good fortunes! Two thousand pounds was spent in 1732-4 building the Chapel of St Mary in the Chapel Row corner. According to Pevsner’s Architectural Guide to Bath – updated in 2003 by Michael Forsyth – it was modelled on Inigo Jones‘s St Paul Covent Garden and was a fine classical temple with a columned portico. The Ionic column from St Mary’s Chapel that once stood in a corner of Queen Square. It was demolished in 1875 to improve access to Green Park Station but has not completely disappeared. Turn left from London Road into Cleveland Place and just before crossing Cleveland Bridge look down into the garden on your right. 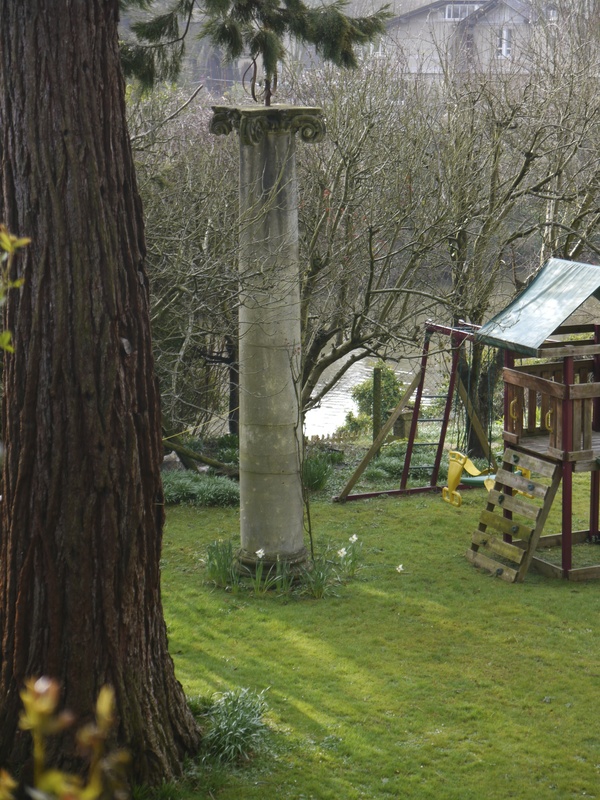 On the far lawn -nearest the River Avon – is an Ionic column said to be from the Chapel. 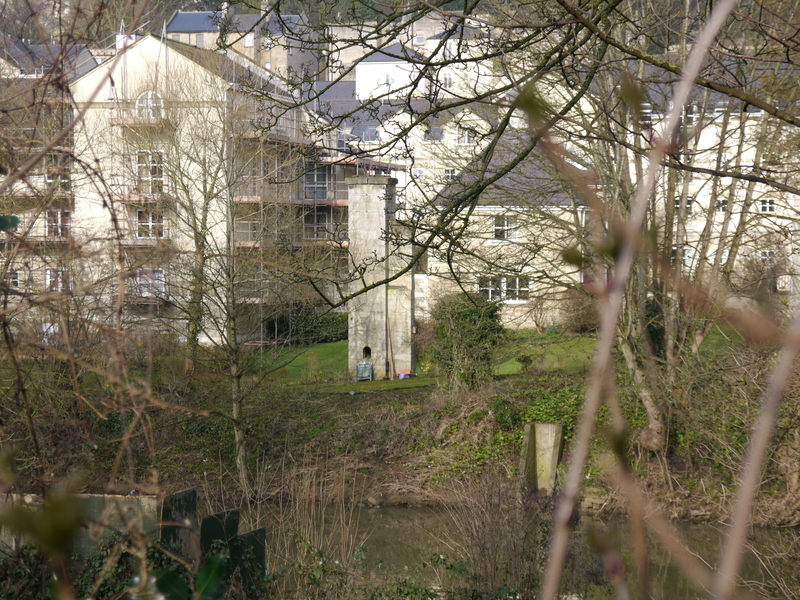 Cross the bridge and turn right into St John’s Road and after a small distance look acr0ss the River again to find another column – this time of what appears to be blocks of Bath stone. Look between the bare branches of the trees at the free standing structure of concrete? I wonder if anyone can help me with this one? It appears to be a giant chimney stack with a fireplace near the base.